Travel in Asia is all about the food. At least it has been for us. 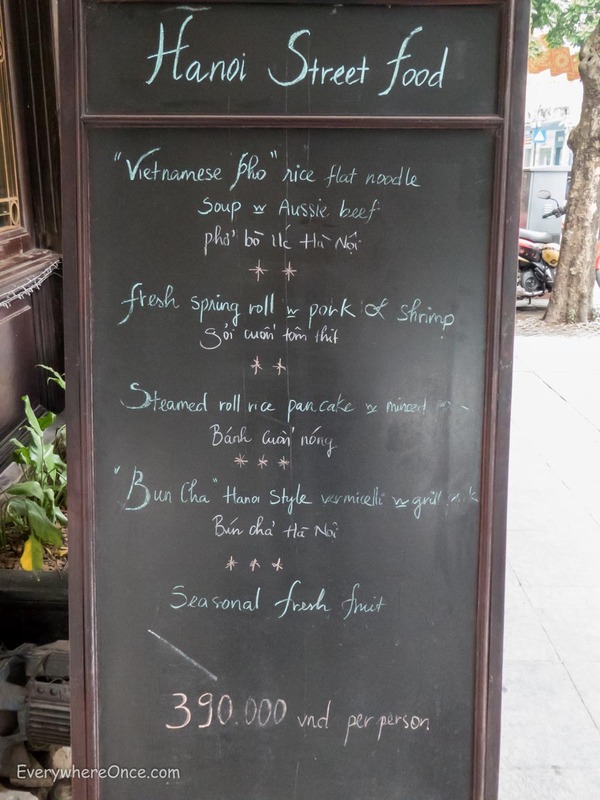 And nowhere have we found ourselves so overwhelmed with dining options than in Hanoi, Vietnam. It’s hard to take a step in the city’s old quarter without passing someone cooking up something wonderful. 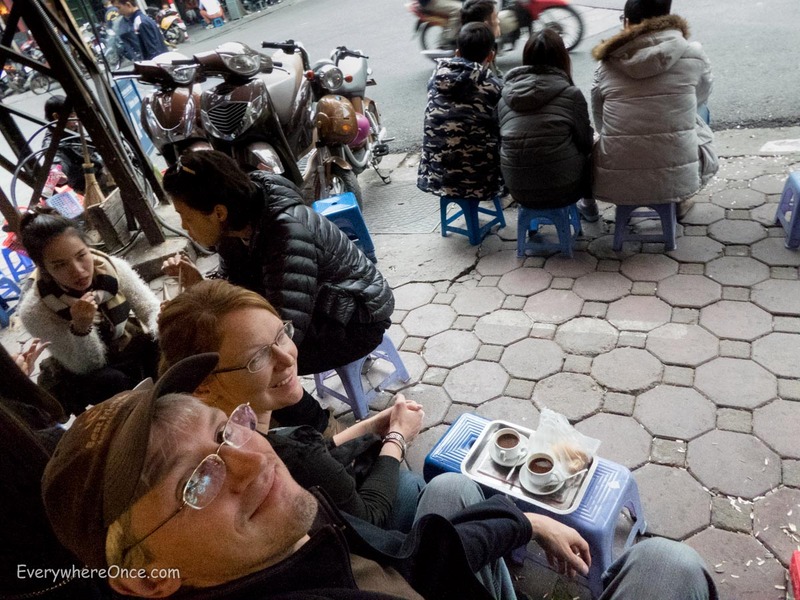 Deciding from which of the many food shacks, sidewalk stalls, and sit-down restaurants to sample is the hardest choice we typically faced on any given day. Making matters worse, restaurant review sites like Tripadvisor and Yelp aren’t terribly helpful here. We’ve always had a bit of a love/hate relationship with those sites anyway. But in Asia they have the added challenge that many of the best eateries don’t have western names, or even any names at all. You won’t find a review on Tripadvisor for the lady spooning up Pho Ga from some random alley because there really isn’t any way to add her to the site. What you will find instead are reviews for a bunch of larger establishments with identifiable names and addresses. They may not serve the best food, but they are popular among the westerners who use Tripadvisor. 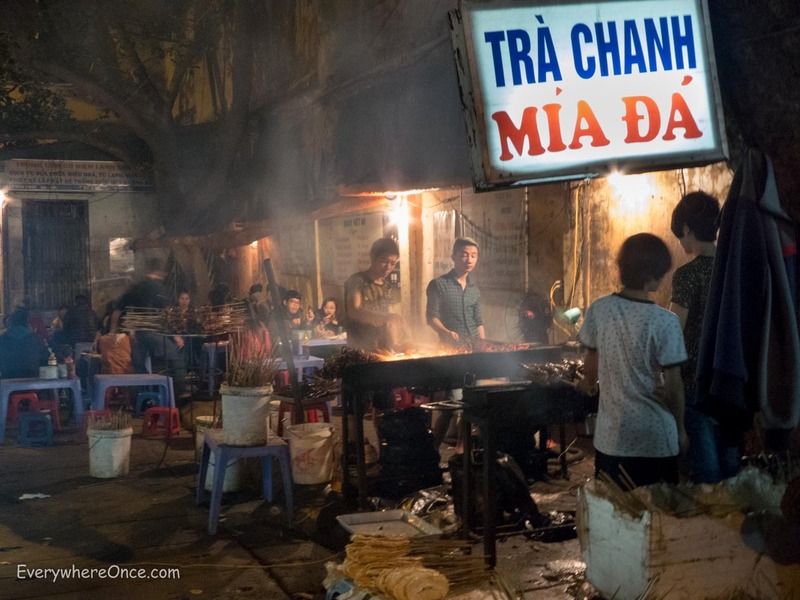 Because of that dynamic we spent a lot of time trolling through alternative sources of information like blogs, travel articles, and local recommendations to find the best places to eat in Hanoi. We don’t offer this as a definitive list, but these are the best places we sampled during our week-long Hanoi food odyssey. This was probably my favorite meal while in Hanoi. I have no idea what’s in Bun Doc Mung or if this version is necessarily representative, but this was the most flavorful noodle soup I’ve had anywhere. The rich and fragrant broth overflowed with meatballs so tender and delicious I’m still thinking about them. Alongside the big bowl of soup came a spicy red pepper sauce and a clear vinegary concoction. Both condiments work to augment the soup. I used them alternately to add a bit of variety and zing to the already amazing flavors. Where to find it: Bun Doc Mung is located at stall 2c on Ta Hien alley almost to the corner of Hang Buom Street. 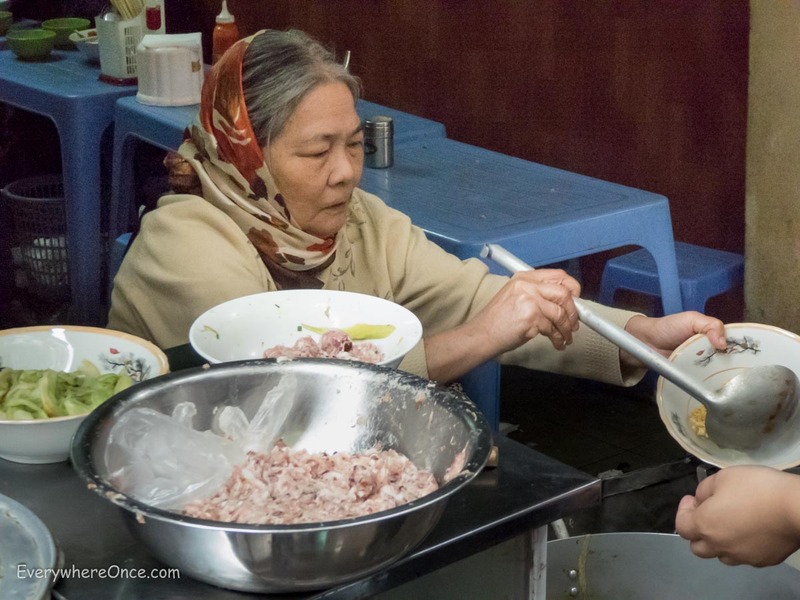 As is common with small food vendors in Hanoi, the name of her restaurant is also the name of the only dish she serves. You’ll find no menu here. Simply tell the woman manning the steaming pots how many bowls you want, fold yourself onto a tiny blue stool, and enjoy. These little pork and mushroom dumplings wrapped in a freshly prepared rice paper crepe were Shannon’s favorite meal in Hanoi and my number two. 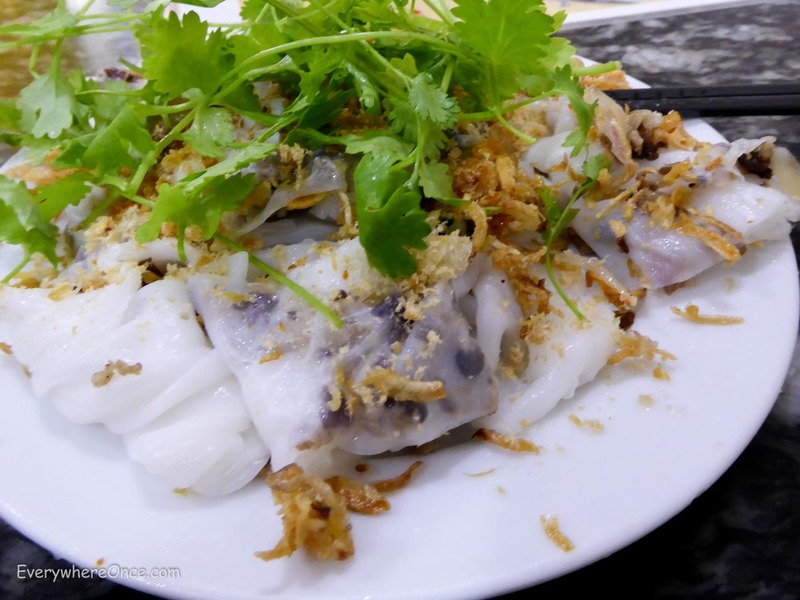 Our Banh Cuon Gia came topped with fresh herbs and crispy fried shallots and a sweet fish sauce for dipping. We fell in love with Vietnamese coffee, and Ca Phe Sua Nong was our go-to morning and afternoon beverage of choice. Dark roasted Vietnamese beans are individually brewed with a small French filter that sits atop your cup and slowly drips chocolately coffee into the sweetened condensed milk waiting at the bottom. The result is more mocha-coffee-drink than traditional cup of joe. And while we never sweeten our coffee at home, we found ourselves totally addicted to this Vietnamese brew nonetheless. Where to find it: There are plenty of places serving great coffee around Hanoi, but our favorite is located at the corner of Ly Quoc Sur and Nha Tho right across from Saint Joseph’s Cathedral. Forget the girls in the cone hats selling stale donuts on the street and hold out for a Papparoti instead. 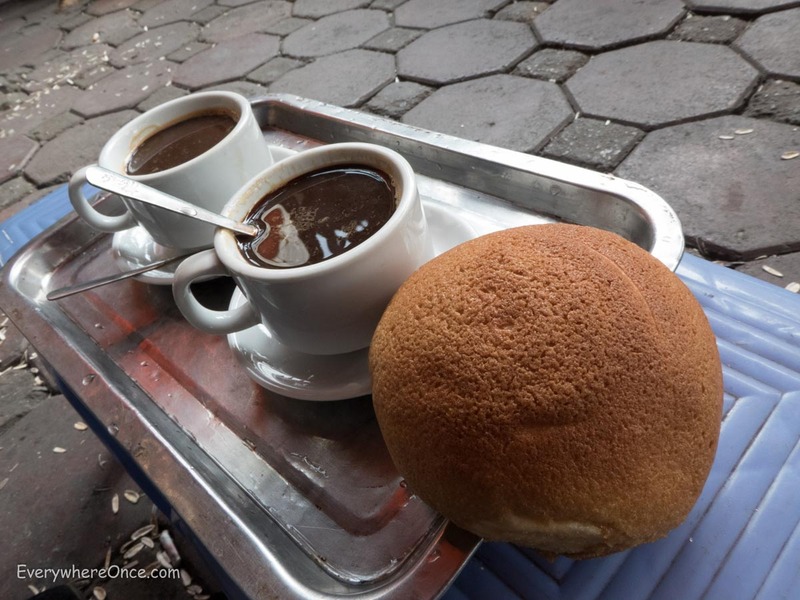 This may be a Malaysian chain, but these incredibly fresh, amazingly puffy buns, coated with crispy just-sweet-enough melted sugar and filled to perfection with deep, dark chocolate goo (or some other filling of your fancy) can’t be beat. Spirit one away and savor alongside some Vietnamese coffee. This place is a Tripadvisor favorite and a good one. A big bowl of noodles and beef served in a sweet broth and covered with peanuts will set you back about $1.50 here. Go in, sit down, and they’ll bring you a bowl. Just beware of the imposters nearby. 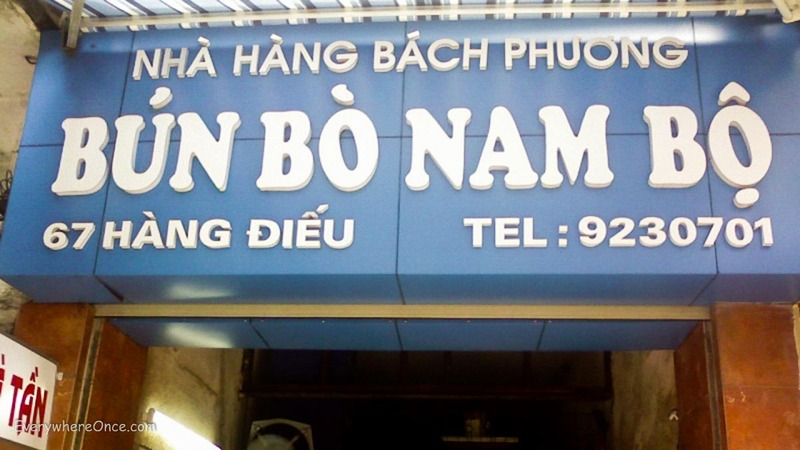 The place you’re looking for has a giant blue and white Bun Bo Nam Bo sign emblazoned with the proper address. 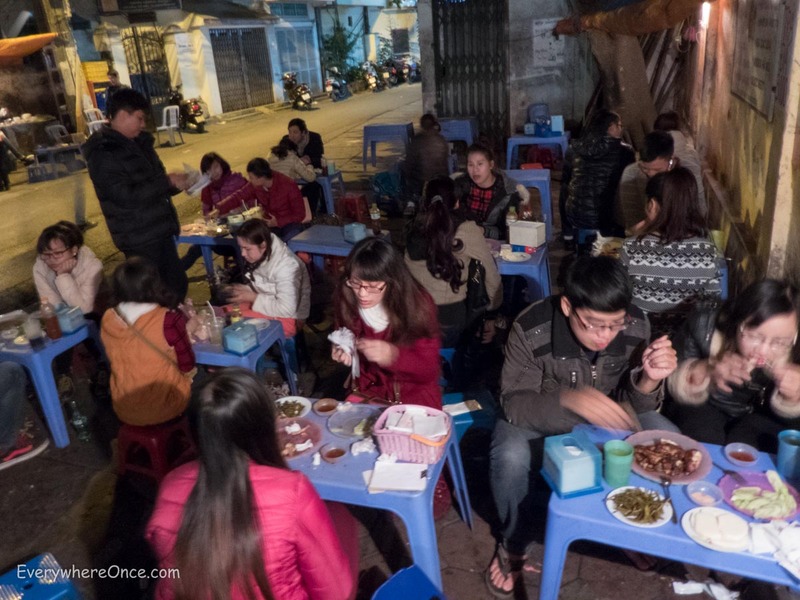 Ly Van Phuc is a dead-end alley lined with small tables, plastic chairs, and about a dozen different people grilling up chickens. We picked one all the way down near the end on the right hand side of the alley because they had a roaring fire and a raging crowd. They didn’t speak much English and we didn’t speak any Vietnamese so we just pointed at stuff that looked good and waited for it to arrive. The chicken came crispy and blazing hot. They definitely use some kind of spicy rub that gives the meat a nice flavor and a little kick even without sauce. The BBQ sauce, meanwhile, was a hit as were some sweet potato-type things and the pickled cucumbers. 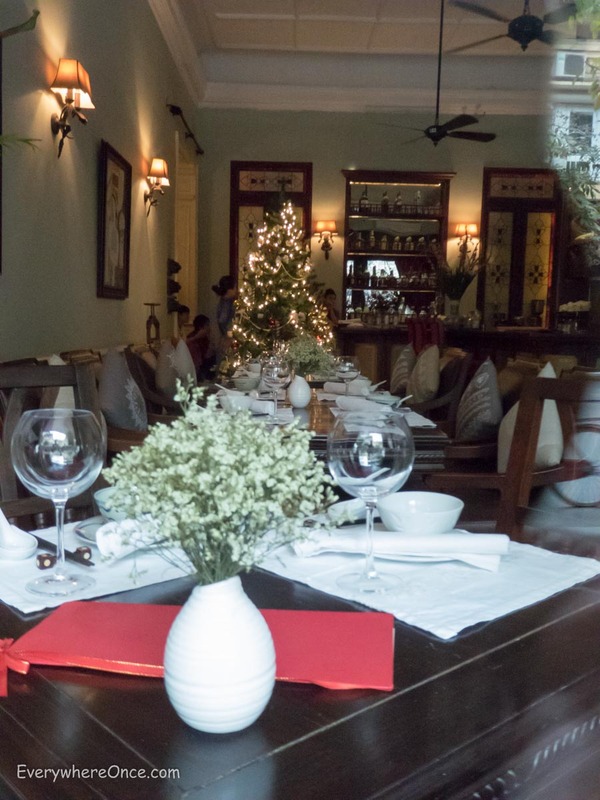 This is undoubtedly a bit of reverse snobbery on my part, but I just can’t resist poking fun at this upscale Hanoi restaurant advertising “Vietnamese Street Food” served – not on the street – but in a fancy restaurant setting. To be fair, we didn’t eat here. The food may be wonderful. But those white table cloths don’t come cheap. A meal here costs nearly 20 times as much as what actual street food vendors charge just a few blocks away. And for that price, you not only miss out on all the character and nuance of the entire street-food experience but also a chance to sample food not prepared with the western palate in mind. Where to find it: Who cares? Although it’s a travelers’ hangout I like the Tamarind Cafe, just for hanging out. For those who really don’t want their coffee sweet, like me, I can vouch for the fact that Vietnamese coffee still tastes great black and hot. I was able to find both the filter and Vietnamese ground coffee back in the US, too.